'Glad it's all over' was produced by Tony Mansfield. No wonder then, that this track sounds suspiciously like a New Musik song. 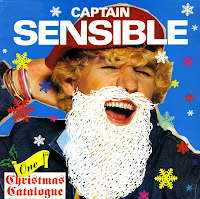 After having been out of sight for more than a year, Captain Sensible had a top 10 hit with this in the UK in May 1984. 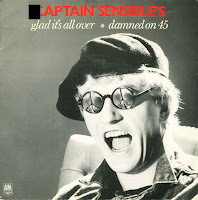 The double A-side single also featured 'Damned on 45', a 'Stars on 45'-inspired medley of tracks by The Damned, the band in which Captain Sensible found his fame in the Seventies.